Research and Production Center of Special Machinery (SPC SP) Bauman. 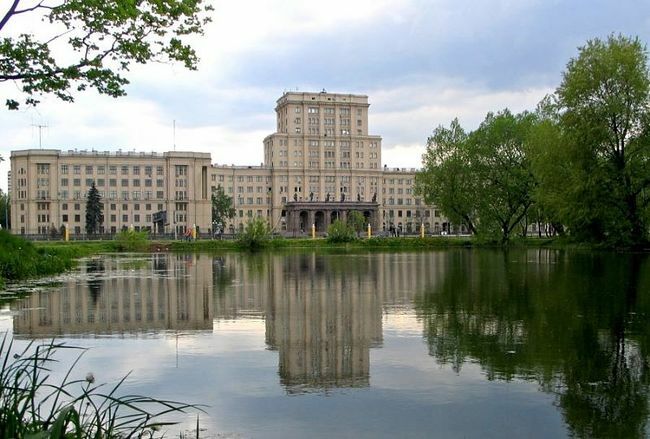 NE Bauman declared the winner of the Russian Defense Ministry on the implementation of the "Research to develop advanced combat vehicle for the marine units of the Navy" (BMMP). According to ARMS-TASS at the MAKS-2013 Chief Designer Sergei Popov SPC CM, in the last week of July, the opening envelopes with applications participants, week they were treated, and in mid-August, the Ministry of Defence signed a contract. According to him, "the timing of the research work very hard — by the end of the year it has to finalize a tactical and technical specifications for development work." Chief designer hopes that "the implementation of OCD is also charged Baumanke." "We have to solve a very serious problem — said Popov. — The big problem is that the Russian armed sailors never had a combat vehicle, and in this regard there is no clear understanding of what it looks like should provide. And do analog-based land options — a hopeless task. " In particular, the expert gave an example, "of the BMP after half an hour of stay in sea water completely denies all electrical equipment, aluminum corrodes, and its coverage by type of ship does not help, since when it is damaged on the ground." Most of the problem is also providing high-speed (40 km / h) on the water and increased seaworthiness BMMP required under the new concept of "drop-off horizon." It provides for unloading troops from the transports away from the coast, beyond the horizon — the ship is less than the risk of being under fire from shore defenses and landing party secured a large reserve. Gators overcome the 15-40 km to the landing site and grab a foothold, which leads to the requirement of high firepower BMMP. "In fact, it should be a high-speed boat on the water and armored personnel carriers on the ground to overcome the breaking wave height of five feet," — said the expert. Another problem is that BMMP must disembark from ships, docks, which are not in service with the Russian Navy. "Should we develop products to fit under under construction" Mistral "is not clear — complained the chief designer. In SPC CM has certain achievements and solutions in this area, "but we need to know what they want sailors," — he stressed. "In September, going to the pool of all stakeholders, and we begin to work — informed Popov. — We will involve her NIItransmash — without major institutions such challenge can not be solved."